As the government shutdown continues, many employees are going on several weeks now without a paycheck. With the historic length of this shutdown, another major challenge for many families is that SNAP benefits through February are being released now and must last households through the end of February, with no current assurance on what will happen in March. Due to this unique situation, many are faced with struggles they have never known before: how do you stretch your food dollar? Make a plan. Since February SNAP benefits are being issued now and must last for at least 1.5 months, it is imperative to ration an conserve as much as possible until the beginning of March. Lay out how many SNAP dollars you can spend each week to last you until March. Calculate how many dollars you can use each week until March by dividing your total allotment of benefits by the number of weeks you must make those dollars last. 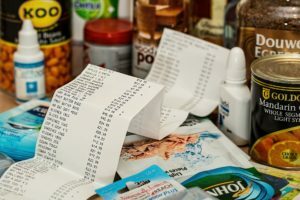 Make shopping lists before going to the grocery with this budget in mind to help keep you on track. Keep grocery store ads and weekly sales in mind to stretch your dollar a little further. Try to avoid any extra impulse purchases at the store, especially at checkout. Consider using a food pantry. Many food pantries have an abundant amount of food right now due to agricultural tariffs. Food pantries can be found at https://www.feedingamerica.org/find-your-local-foodbank. 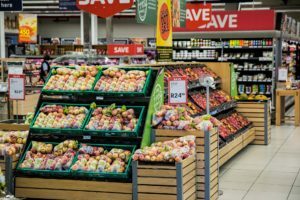 If you are not currently receiving SNAP benefits but are furloughed due to the shutdown, applying for SNAP benefits could be beneficial. If your children are not currently receiving free or reduced school breakfasts and lunches, you can apply at your school to take part in this assistance program, which would help your SNAP benefits last longer if 2 meals for your children are covered on weekdays. Furloughed employees would be eligible to apply for these school meals due to their current income situation, rather than overall circumstances. Consider buying more shelf-stable items that can last longer. Keep in mind that shelf-stable does not mean unhealthy or lacking in nutrition. Canned fruits and vegetables packed in their own juices or water have the same nutrition as fresh produce. Frozen produce is a great option as well! Consider alternative protein sources. Meat can be more expensive than plant protein. For instance, beans are a good source of protein and fiber, which will help to fill you up. Eggs are also a good source of protein and typically less expensive than meat. You can amp up your egg dishes with frozen vegetables for a filling and nutritionally balanced meal. Consider foods that are high in fiber to help you stay full longer. For instance, oats are full of slow-digesting carbohydrates and fiber that can be used in a variety of ways, from oatmeal to overnight oats to oat muffins. Check local store ads and apply for the free loyalty card offered at multiple chain grocery stores that can unlock further savings. 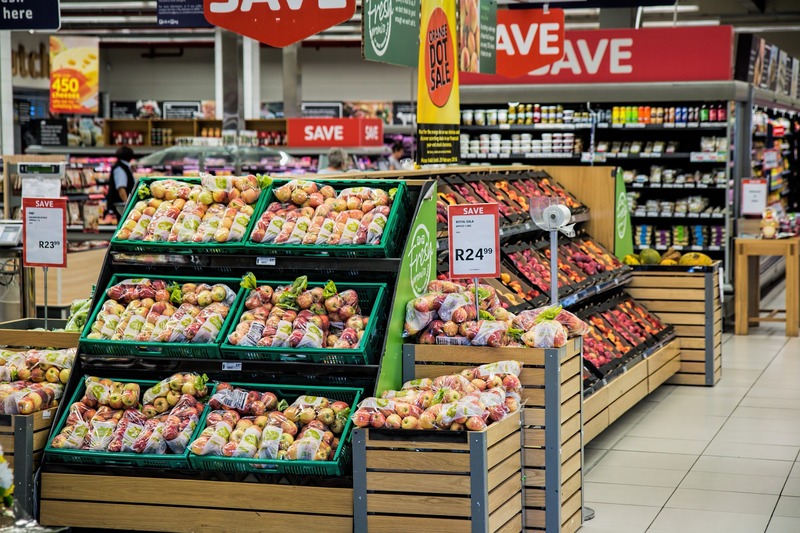 By shopping using a grocery store ad, you can determine what’s on sale at the store before you go so that you can plan your weekly menu around those discounted items. If you have meals or ingredients that will not be able to be eaten within 3-4 days, freezing that food to avoid food waste is a great option! Check out this fact sheet with freezing basics to help you freeze your food safely and for best quality. Preparing foods at home and cutting back on large helpings or second helpings can help your meals last longer by allowing for leftovers to consume another day. Keeping in line with MyPlate serving sizes can be a good reference for down-sizing your helpings. If your SNAP benefits start to run low, check with local faith-based organizations that may offer a weekly free community meal. Keep an eye out for local restaurants offering free meals to folks with a government ID. Many Americans are feeling the negative effects of the government shutdown and the stresses that it may be putting on their finances. OSU Extension has a number of financial, nutritional, and relationships-based resources available to Ohioans that we encourage you to take advantage of during this tough time at fcs.osu.edu. We also invite you to take a look at our recent telecast series which touches on the healthy living resources that OSU Extension has when it comes to managing stress in your life, including financial stress. Please don’t hesitate to reach out to your local Extension county office with any questions! Amy Meehan, MPH, is the Healthy People Program Specialist for OSU Extension, Family and Consumer Sciences. Amy has a background in nutrition and public health, with a specialization in health behavior and health promotion. She likes to cook healthy meals for her family and powerlift with her husband.